Match ends, Rennes 2, Nancy 0. Second Half ends, Rennes 2, Nancy 0. Substitution, Rennes. Kermit Erasmus replaces Giovanni Sio. Attempt saved. Vincent Muratori (Nancy) right footed shot from the left side of the box is saved in the top centre of the goal. Assisted by Benoit Pedretti. Corner, Nancy. Conceded by Benoit Costil. Goal! Rennes 2, Nancy 0. Giovanni Sio (Rennes) left footed shot from the centre of the box to the bottom left corner. Assisted by Ludovic Baal. Corner, Nancy. Conceded by Ludovic Baal. Attempt missed. Giovanni Sio (Rennes) right footed shot from the left side of the box is high and wide to the right. Assisted by Yoann Gourcuff. Corner, Nancy. Conceded by Romain Danze. Substitution, Nancy. Loic Puyo replaces Youssef Ait Bennasser. Attempt missed. 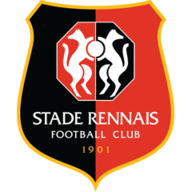 Ramy Bensebaini (Rennes) header from the centre of the box misses to the left. Assisted by Kamil Grosicki with a cross following a corner. Corner, Rennes. Conceded by Clement Lenglet. Substitution, Nancy. Diallo Guidileye replaces Serge N'Guessan. Corner, Nancy. Conceded by Ramy Bensebaini. Attempt missed. Yoann Gourcuff (Rennes) left footed shot from outside the box is too high. Assisted by Kamil Grosicki. Substitution, Rennes. Ermir Lenjani replaces Wesley Said. Substitution, Nancy. Christophe Mandanne replaces Junior Dalé. Corner, Rennes. Conceded by Joffrey Cuffaut. Gelson Fernandes (Rennes) is shown the yellow card for a bad foul. Foul by Gelson Fernandes (Rennes). Youssef Ait Bennasser (Nancy) wins a free kick in the attacking half. Substitution, Rennes. Kamil Grosicki replaces Pedro Henrique. Pedro Henrique (Rennes) is shown the yellow card for a bad foul. Foul by Pedro Henrique (Rennes). Vincent Muratori (Nancy) wins a free kick in the defensive half. Giovanni Sio (Rennes) wins a free kick on the right wing. Foul by Vincent Muratori (Nancy). Foul by Wesley Said (Rennes). Serge N'Guessan (Nancy) wins a free kick in the defensive half. Attempt saved. Wesley Said (Rennes) left footed shot from the left side of the box is saved in the centre of the goal. Offside, Nancy. Guy N'Dy Assembe tries a through ball, but Junior Dalé is caught offside. Penalty missed! Bad penalty by Antony Robic (Nancy) right footed shot is close, but misses to the right. Antony Robic should be disappointed. Benjamin André (Rennes) is shown the yellow card for hand ball. Penalty conceded by Benjamin André (Rennes) with a hand ball in the penalty area. Attempt blocked. Antony Robic (Nancy) right footed shot from outside the box is blocked. Assisted by Serge N'Guessan. Corner, Nancy. Conceded by Yoann Gourcuff. Attempt missed. Giovanni Sio (Rennes) right footed shot from the right side of the box is close, but misses to the right. Assisted by Benjamin André. Attempt missed. 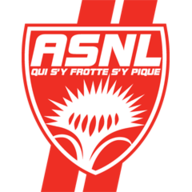 Serge N'Guessan (Nancy) right footed shot from outside the box misses to the left. Assisted by Youssef Ait Bennasser. Foul by Junior Dalé (Nancy). Second Half begins Rennes 1, Nancy 0. First Half ends, Rennes 1, Nancy 0. Corner, Rennes. Conceded by Anthony Koura. Anthony Koura (Nancy) hits the right post with a right footed shot from the right side of the box. Assisted by Serge N'Guessan. Giovanni Sio (Rennes) is shown the yellow card. Foul by Giovanni Sio (Rennes). Clement Lenglet (Nancy) wins a free kick in the defensive half. Pedro Mendes (Rennes) wins a free kick in the defensive half. Attempt missed. Vincent Muratori (Nancy) left footed shot from outside the box is high and wide to the right. Assisted by Junior Dalé. Corner, Nancy. Conceded by Benjamin André. Romain Danze (Rennes) wins a free kick in the defensive half. Julien Cetout (Nancy) is shown the yellow card for a bad foul. Yoann Gourcuff (Rennes) wins a free kick in the defensive half. Foul by Julien Cetout (Nancy). Youssef Ait Bennasser (Nancy) wins a free kick in the defensive half. Attempt missed. Junior Dalé (Nancy) left footed shot from outside the box is high and wide to the left. Assisted by Antony Robic. Attempt blocked. Serge N'Guessan (Nancy) right footed shot from outside the box is blocked. Foul by Anthony Koura (Nancy). Goal! Rennes 1, Nancy 0. Yoann Gourcuff (Rennes) right footed shot from outside the box to the bottom left corner. Assisted by Romain Danze. Vincent Muratori (Nancy) is shown the yellow card. Foul by Pedro Mendes (Rennes). Antony Robic (Nancy) wins a free kick on the left wing. Attempt blocked. Benjamin André (Rennes) right footed shot from outside the box is blocked. Assisted by Ludovic Baal. Attempt blocked. Wesley Said (Rennes) right footed shot from the left side of the box is blocked. Foul by Ludovic Baal (Rennes). Antony Robic (Nancy) wins a free kick in the defensive half. Foul by Clement Lenglet (Nancy). Offside, Nancy. Benoit Pedretti tries a through ball, but Anthony Koura is caught offside. Vincent Muratori (Nancy) wins a free kick on the left wing. Offside, Nancy. Clement Lenglet tries a through ball, but Anthony Koura is caught offside.